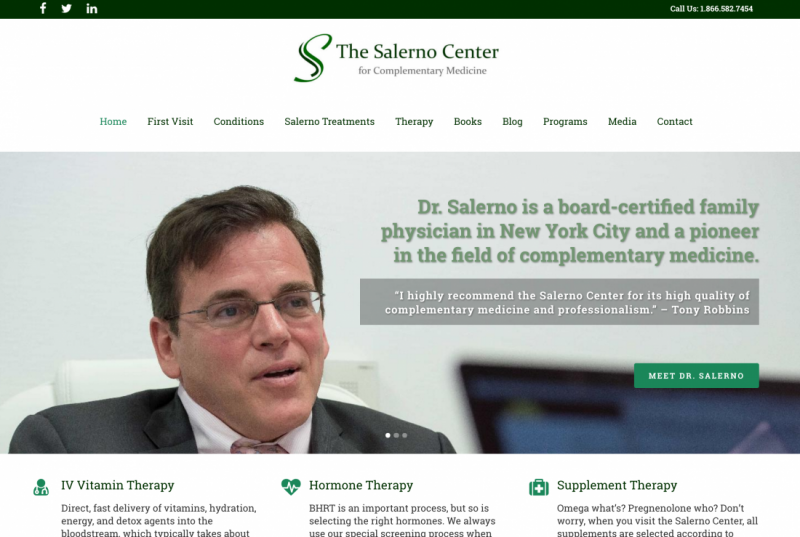 The Salerno Center for Complementary Medicine is a customized WordPress implementation. This client uses the full spectrum of our services from Web Hosting, SEO, Social Media consulting, Newsletter management and Wordpress blog customization. This site performs very well because of the high quality content on all the pages, inbound links and proper SEO implementation, especially considering how competitive the industry is in NYC.